Cover versions are tricky blighters. If you’re a musician, and you love a particular song, how better can you pay homage than to drip your huge talent all over it, like a bear eating a large, honey-filled beehive? Except, of course, for those pesky bees stinging you. Those pesky bees being a metaphor for the fact that most cover versions are about as welcome as being stung by a hive full of grumpy bees. Even if you are a fierce, thick-skinned bear. I’m not sure where I’m going with this. Anyway, cover versions. 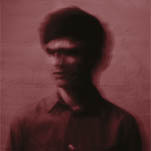 A few people recently have mentioned the new James Blake record that’s out on 7th February. Lead single is, yes, a cover of Feist’s “The Limit To Your Love”. Now, Feist’s music is tough to cover, largely due to the fact that she’s got a voice that would charm the devil into doing charity work, and partly due to the fact that this voice – and her undoubted talent as a musician – covers up the occasional iffy song. And funnily enough, “The Limit To Your Love” is one of those. On The Reminder, it’s one of those songs that you listen to a little on sufferance because you know wonders like “1234” and “Brandy Alexander” are coming up soon. What makes it more than bearable is her performance rather than the song itself. So, this is a brave choice for a cover. James’s voice is good enough, but doesn’t quite match, oh you get the idea. What he does to try and make this interesting is to overlay some huge bass onto the fairly conventional slightly-glitchy-electronica-by-numbers-with-some-piano bits. As my friend D commented, you need to be listening to this on some biiig speakers, not tinny little computer ones. Or little earbuds. So maybe I’m missing out a little, and need to hear this playing in some achingly trendy Hoxton bar at 1am. (Oh, and stop pronouncing “waterfall” as “wa’rfall” like some gutteral East End urchin. You went to Latymer, for Christ’s sake). As for the rest of the record, is it a work of genius or Jamie Cullum with a laptop and Autotune? Only time will tell, my friends. Enjoy whatever you’re up to tonight, and don’t do anything I wouldn’t do. 2011 tomorrow. Holy moly, where did this year go?